We have quantity 3 of the Ciena NT6Q18AAE5 circuit pack in-stock. 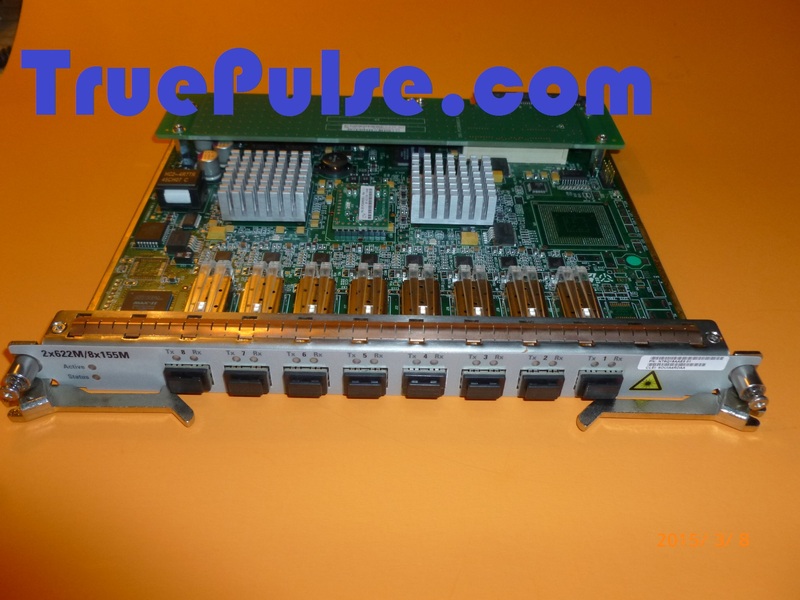 You may also know this part as the Nortel NT6Q18AAE5. They have 8 x STM-1 8x OC-3 2xOC-12 ports. The HECI code is SOUIA4RDAA. We have quite a bit of other OME6110 and OME6130 also in stock, such as NT6Q00ABE5, NT6Q10AA, NT6Q13BAE5, NT6Q17AAE5, NT6Q30ABE5, NT6Q40AAE5, NT6Q44AAE5. For a more complete list, go to our catalogue, and use the Search on the top right.